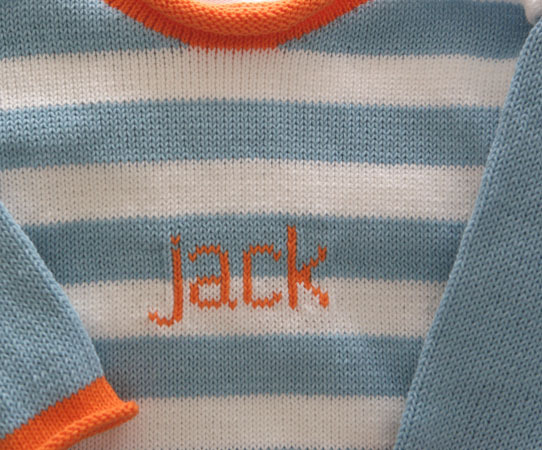 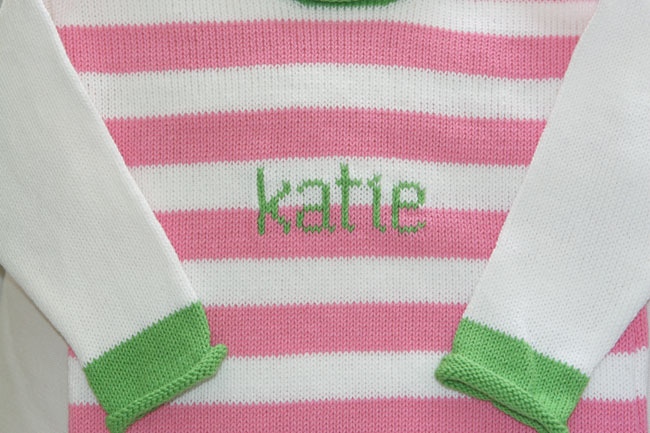 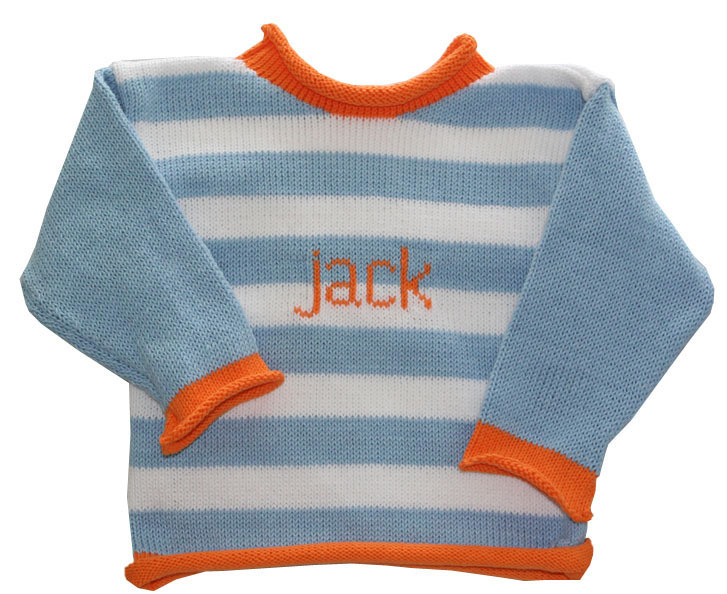 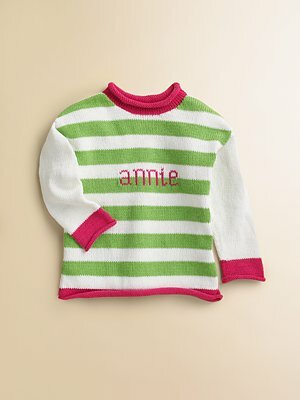 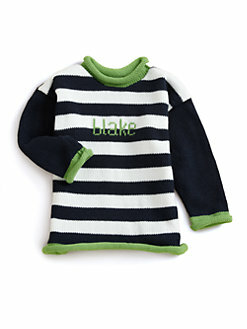 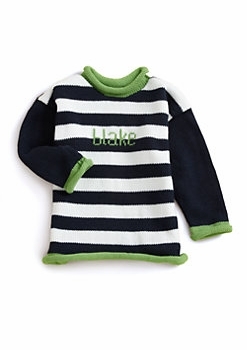 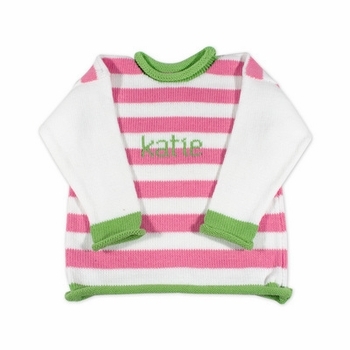 This personalized knit name sweater features classic stripes and will become your child's favorite sweater. 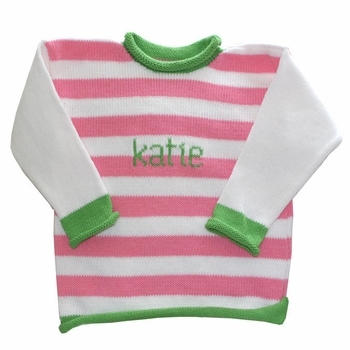 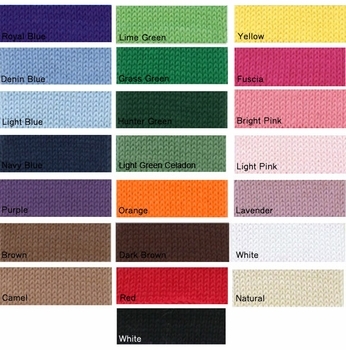 Made from soft 100% cotton and available in 22 different colors. 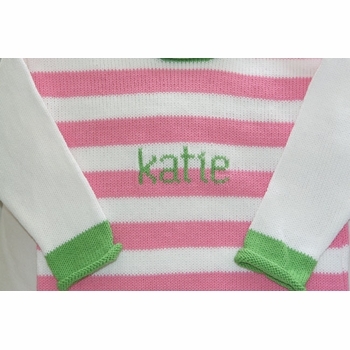 Each sweater features your choice of stripes and monogram single initial in lowercase. 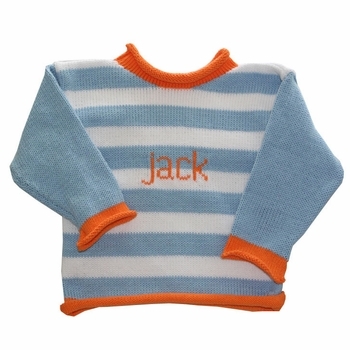 Excellent quality and workmanship. 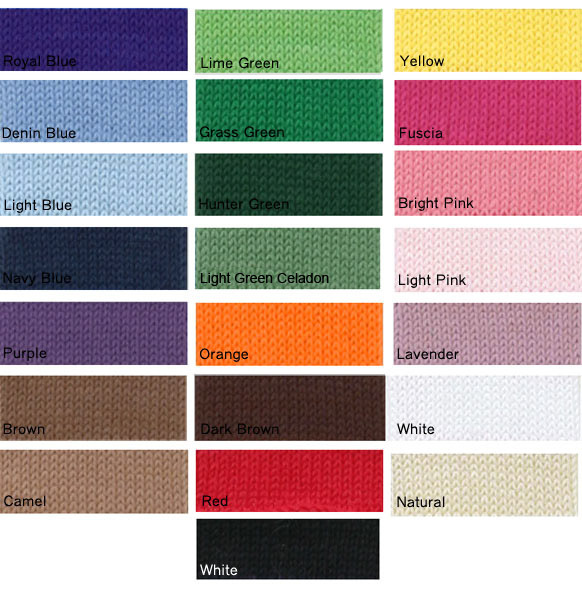 With so many colors to choose from, create your own combination from the following colors: Red, Orange, Yellow, Hunter Green, Light Green Celadon, Grass Green, Lime Green, Navy Blue, Royal Blue, Denim Blue, Light Blue, Purple, Lavender, Fuchsia, Bright Pink, Pale Pink, Dark Brown, Brown, Camel, Natural, White, Black Custom knit for each order. 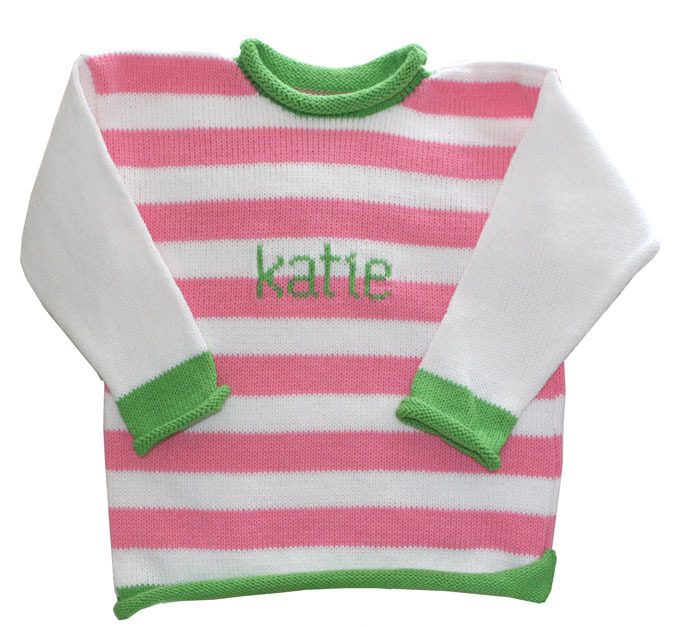 HOLIDAY CUT OFF: Any orders placed after November 20th, may not be completed and shipped until after the New Year. 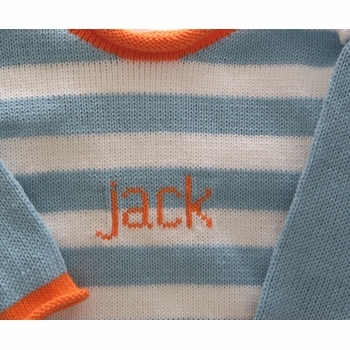 We will still process orders and they will be started but we can no longer guarantee Christmas Delivery after this date.